What’s your worst fear as a woman? If this is it, please relinquish your woman hood and go join another species. With the pay gap debate, FGM, #MenAreTrash, unsafe abortions, #MeToo and abuse all rife in this life game and all you are worried about is a man being stolen then we don’t need you in the struggle. Go join other narcissistic species like peacocks or males even. Why do women keep fighting each other? We know this, Chimamanda covered it in flawless, it’s the competition for the attention of men. And that’s where they get us. Pitting us against each other like those illegal dog fights. In the entertainment industry, every woman must have a rival. They did it with Britney Spears and Christina Aguilera. P!nk says it in Don’t Let Me Get Me “LA told me, “You’ll be a pop star, All you have to change is everything you are. Tired of being compared to damn Britney Spears. She’s so pretty, that just ain’t me.” And by hating on a woman that you don’t know you’re playing straight into the games by the Man. Why are you phased by another woman’s shine? Why did your self esteem take a hit when a woman you don’t know walked past you? She doesn’t even know your man but you’ve decided in your mind that if he knew her he’d surely leave you for her. How do I know you were shook? There’s a tell tale sign. You see, when a woman who you feel is superior to you comes by, you will subconsciously start to tug at your clothes, fix your make up or caress your hair. To make sure that you were also serving heat. Observe women, you’ll see exactly what I’m talking about. Its so funny cause insecurity and paranoia are so unattractive. So even if he isn’t cheating on you, he eventually will when he meets a woman that is confident and secure in her own skin. Congrats, you played yourself like solitaire. Men are humans and humans are volatile. You can’t control them. Even their maker left them to their own devices. If he decides to leave for another woman then that’s his choice. We need not associate it with our personal flaws. He left because he wanted to and not because you were inadequate or unpretty. Isn’t it funny that even the woman of women, Beyonce, herself thought maybe she wasn’t pretty enough. Listen properly to her monologue on Hold Up. We go through the most shem. We hold onto these male species for different reasons and I suggest that you find out what your reason is and start to address it. If you are financially dependent on him maybe you should change that. 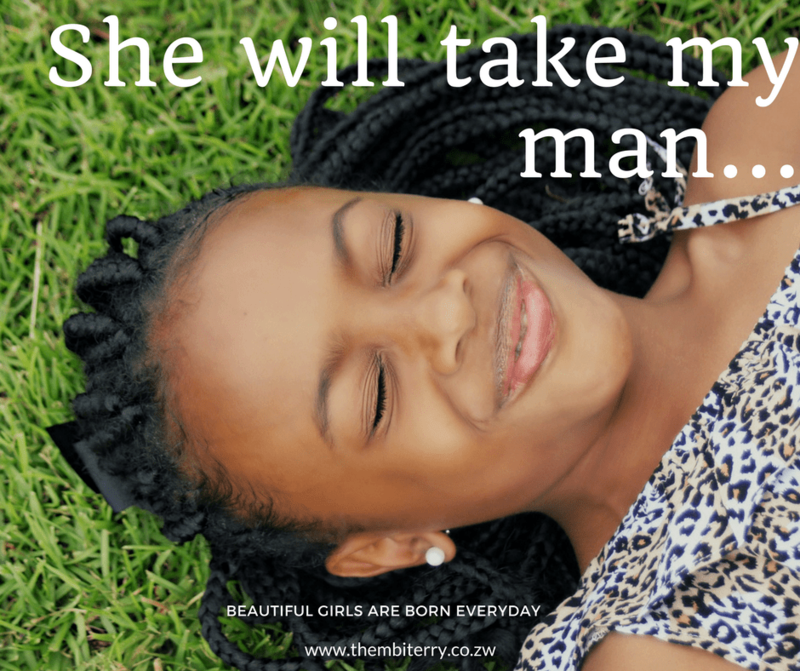 Beautiful girls are born everyday! You will never find peace if you are threatened by them. Social media has increased what’s on the menu and you can’t compete with plastic surgery. Don’t faff with the symptoms, deal with the root cause of your insecurity which is inside of you.